Show me a place on Earth where people would not have heard of the United States of America or would not have felt its influence. For good or bad, America is a such a strong superpower that only few countries dare to oppose politically, economically and militarily. Millions of people across the globe have been raised on American music and movies, and well over half of the world's population use technologies originating from the US on a daily basis. But America hasn't always been like that. In fact, it was very different from what it is today before Columbus officially "opened" it in 1492. Luckily, there are still some places in the US that can give us a glimpse of what it looked like in the old days. 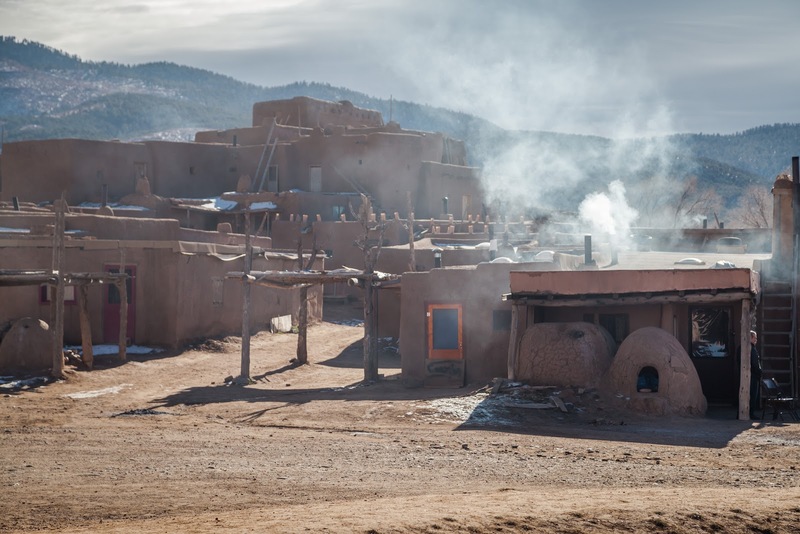 One of them is Taos Pueblo, a UNESCO World Heritage Site, located in northern New Mexico. 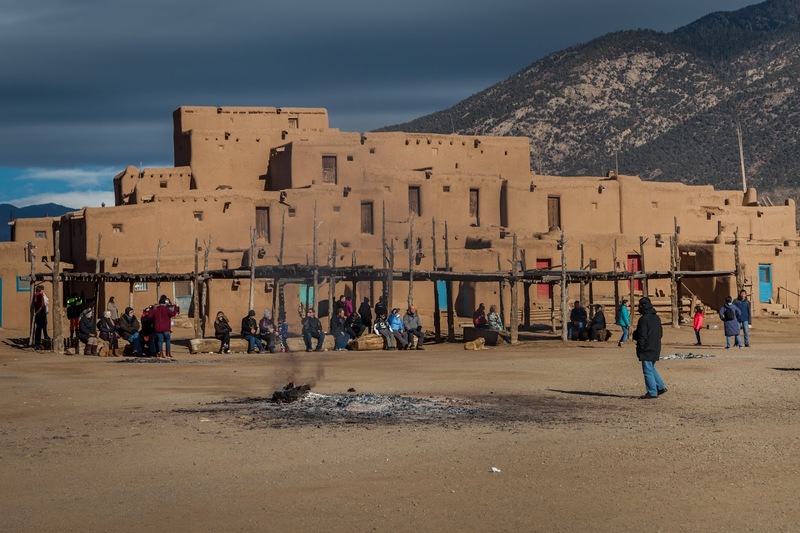 Taos Pueblo is a native tribe that has its own language, religion and a governing body led by a War Chief. 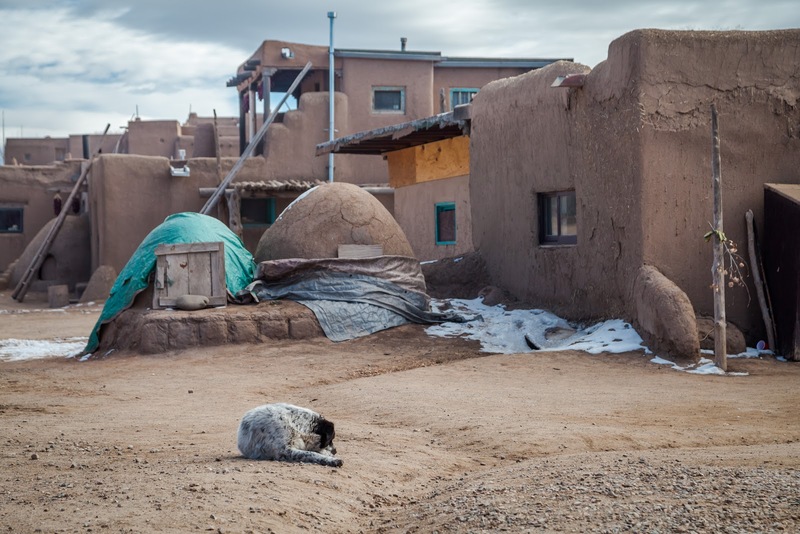 People of Taos Pueblo live in a so-called "reservation", a very unfortunate name for a sovereign nation within the United States. 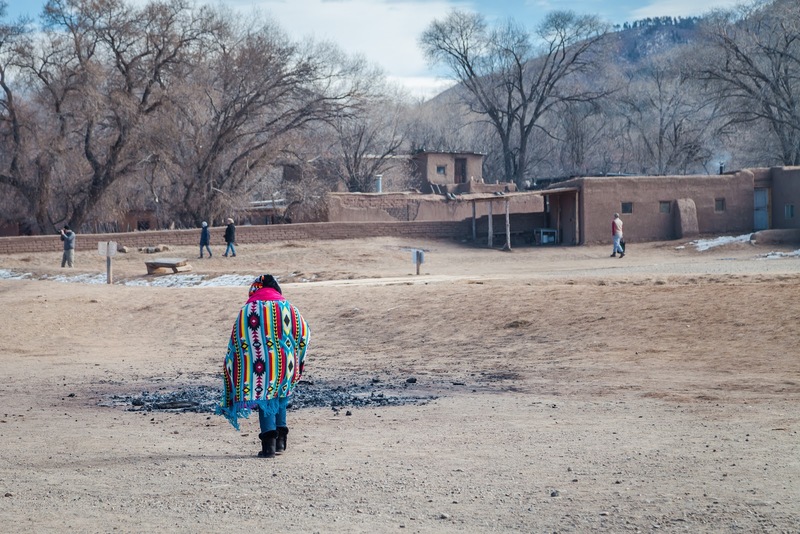 I've been to other reservations before, and Taos Pueblo is by far the most interesting and culturally diverse place. You don't feel like you are in the US at all. 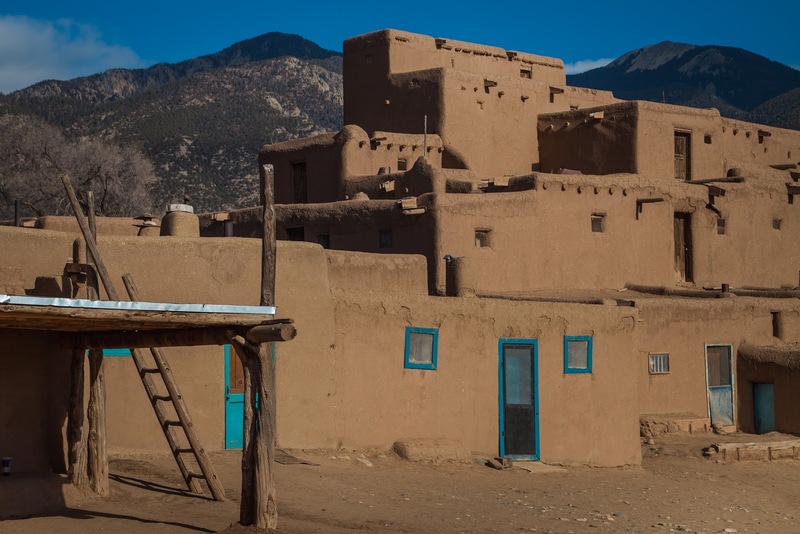 Taos Pueblo is also considered one of the oldest continuously inhabited communities in North America. 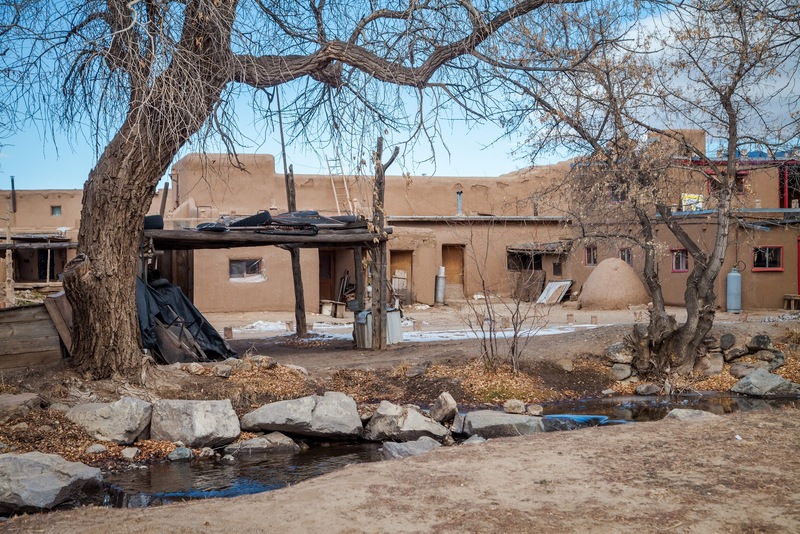 What draws most outsiders here is the two adobe buildings located at either side of the Rio Pueblo Creek. Although look like single complexes, they are in fact a bunch of separate one- or two-room houses stacked on each other like Lego bricks. Before the 20th century, there were no windows and doors as the buildings were used as forts for defence purposes. The only way to get to each house was to use outside and then inside ladders. 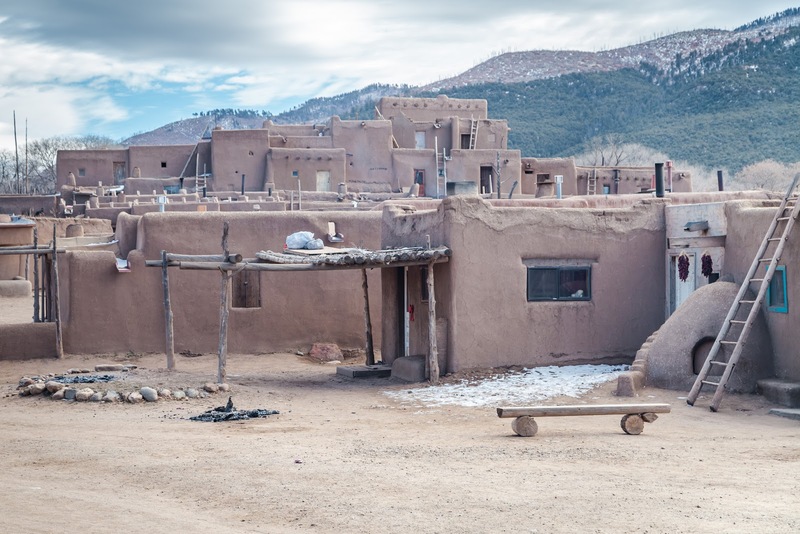 Taos Pueblo is made of adobe or a mud brick. 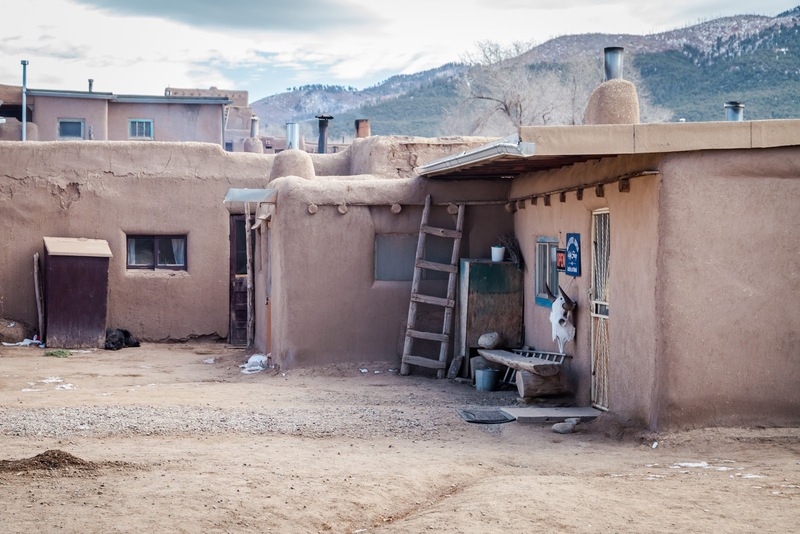 Each year, puebloans repair external walls with fresh mud to ensure they don't crumble. 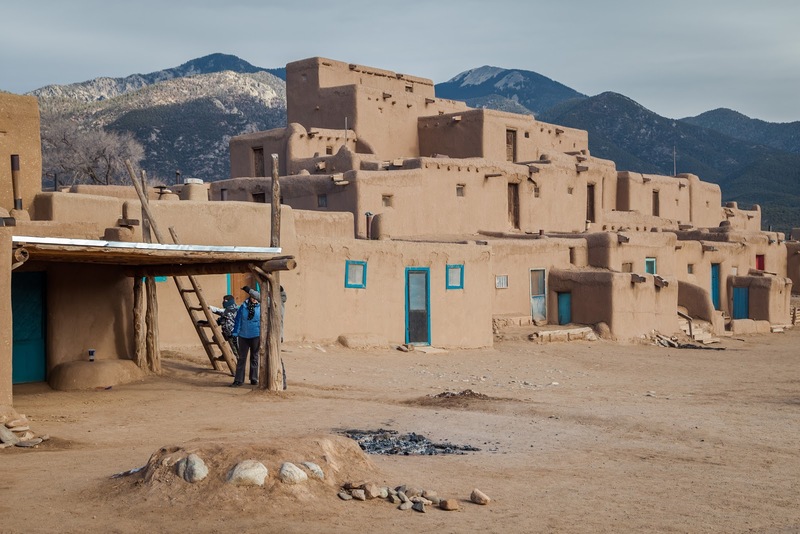 It actually works well as according to Taos Pueblo's official website, the main part of the present buildings most likely constructed between 1000 and 1450 AD. 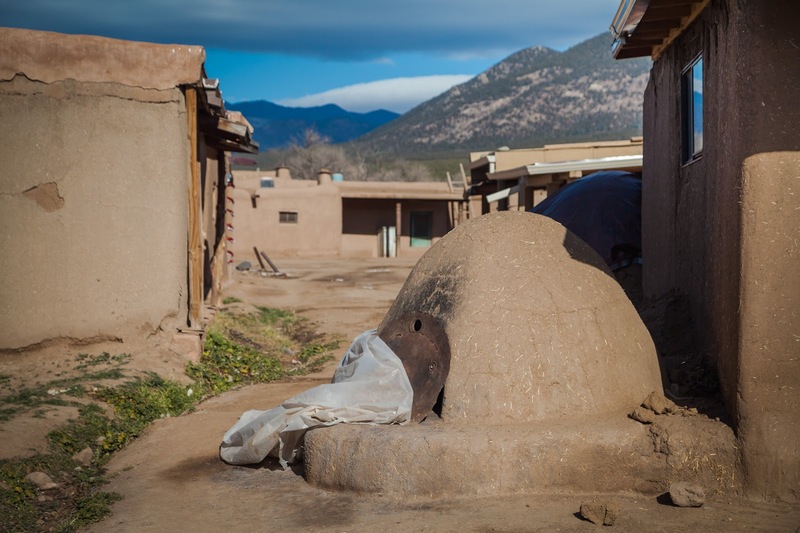 Taos Pueblo does not have electricity, running water and plumbing. 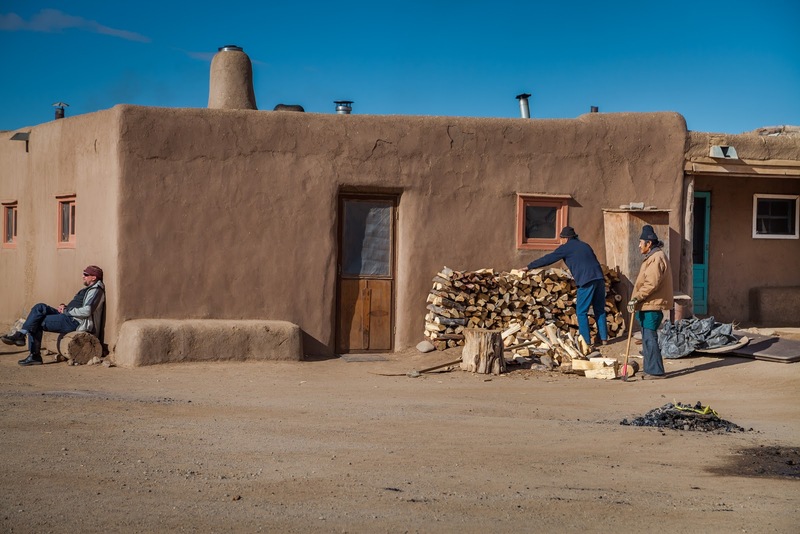 Although there are still people who live there on a permanent basis, most of puebloans have modern houses outside of old walls. 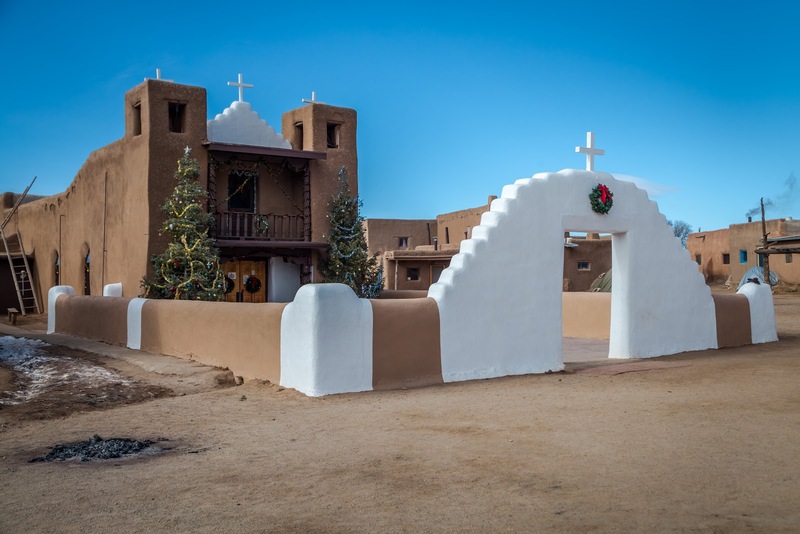 Spanish who ruled New Mexico before Americans took it in the 19th century were especially notorious when it came to religion. 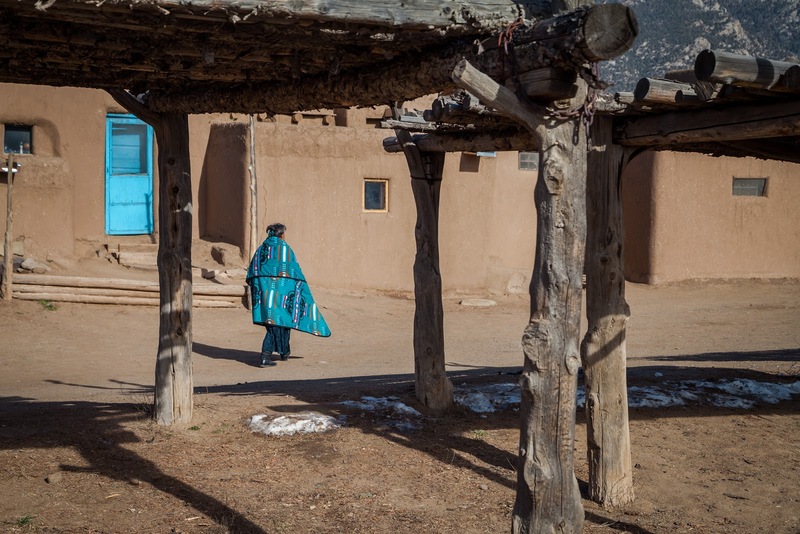 Taos Pueblo was no exception - the majority of people in the tribe are Roman Catholic. 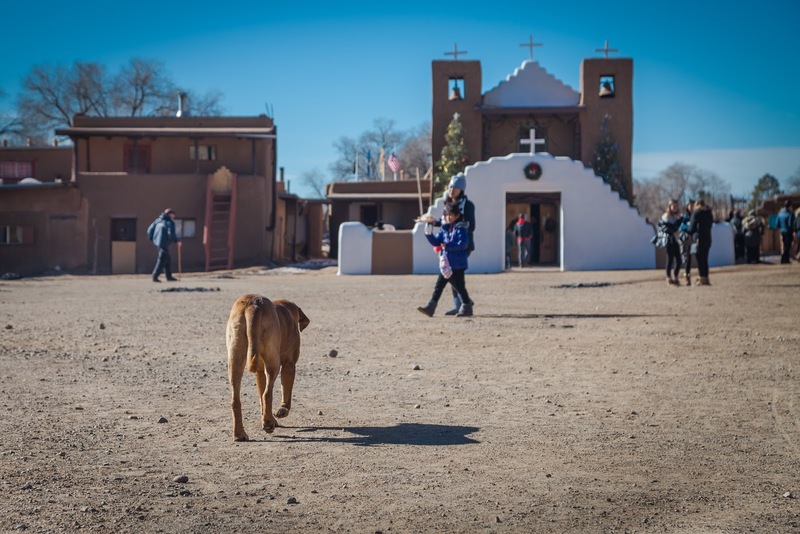 However, catholicism has not arrived to the Taos Pueblo peacefully. 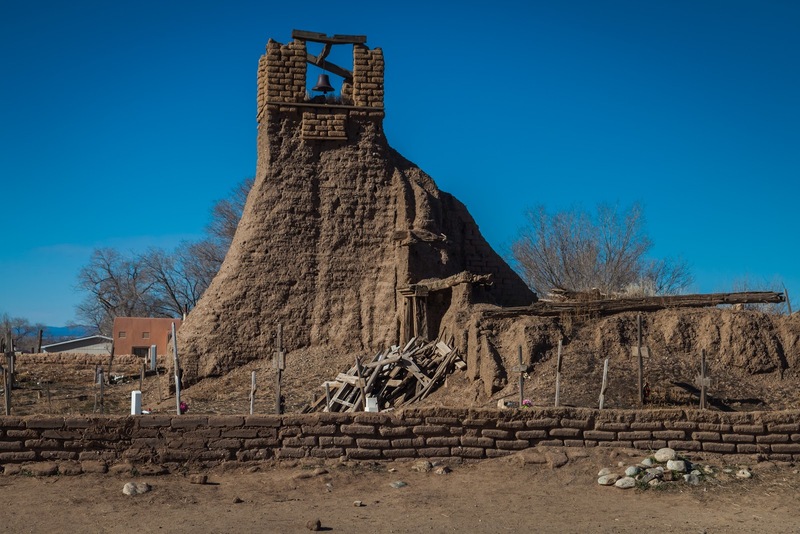 A present day San Geronimo chapel is the forth one built after the previous three were destroyed. 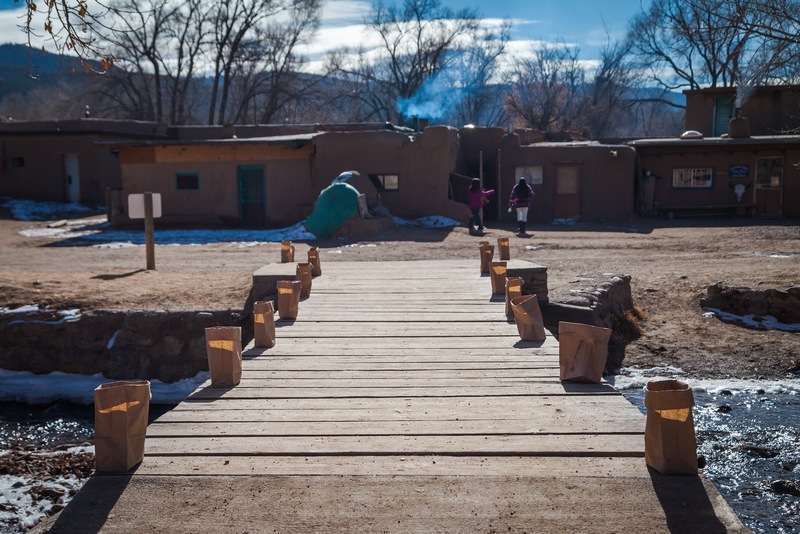 Both Christian and old pagan rites are practiced together at Taos Pueblo creating a unique religious mix. I really liked the tradition to light candles in paper bags on Christmas eve. 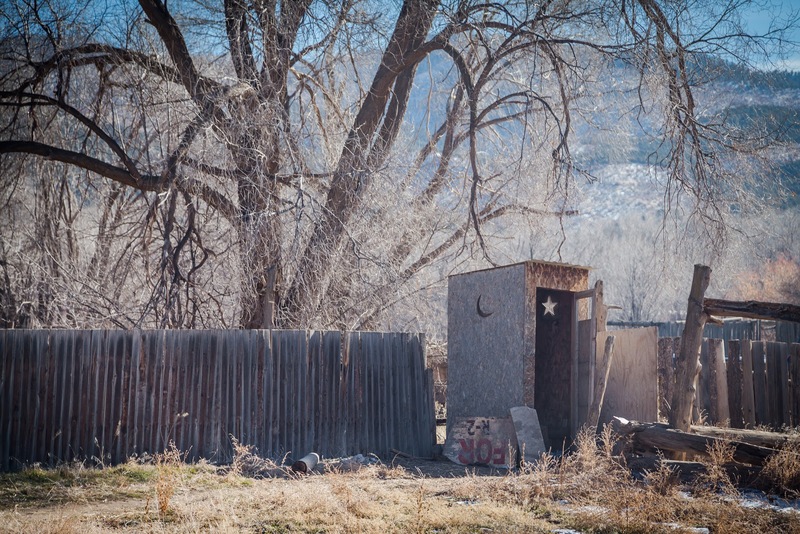 It seems common throughout New Mexico. 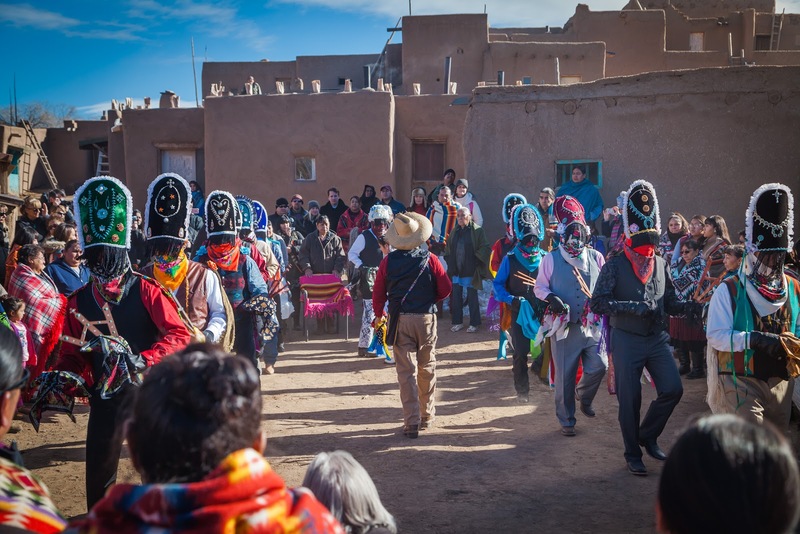 Many people from outside come see the dances that happen at Taos Pueblo about ten times per year. I became witness of one of them called Deer Dance on Christmas day. What can I say? Simple moves, unsophisticated repetitive music, colourful costumes - it's worth seeing a dance once, but don't expect much.